June Richmond started her life in the cinema industry at the age of 17 as an usherette at Windsor Star Theatre, Hilton. In 1957 she moved to Port Pirie and was with husband John when he opened the Port Pirie & Kadina Drive Ins. Between having seven children she worked at the Sunset Drive-in at Kadina from 1962 and even after it was purchased by The Thompson family in 1965 when it became the Peninsular Drive-in, June continued to work there until 1967. 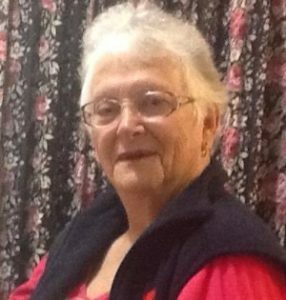 She was also Ticket Seller, Usherette, Cleaner and general duties at the family Cinemas at Bute and Snowtown until John Harvey offered June a job at the Ascot Cinema Kadina . In 1970 the Richmond family moved to Port Augusta and during that time she worked at the Port Augusta Drive-in and Cinema doing many jobs including film switching, fauna park caretaker, cleaner and advertising runs until 1984 when John bought the 2 Port Augusta businesses from Greater Union. As owners of the Drive In & Cinema in Port Augusta June, John and family continued to work hard and provide a great service to the community and as if that wasn’t enough, the family also operated the Flinders Theatre Port Lincoln from 1987 – 1991. In 1990 the Cinema at Port Augusta changed locations and June ran that during the Matinees and then worked at the Drive-In at night. The Port Augusta Drive-in was closed for good in December 1995 and the family continued running the Cinema Augusta at The Brian Evans Theatre. The cinema was very popular with charities and many fundraising events were held there, raising thousands of dollars for the local Hospital, Nursing Homes and other community groups. The business was sold in 2002 and June and John retired. John Passed away on 18 November 2011.